When I first sat down to answer this question, I had so many ideas floating around in my head. A lot of ideas. The list was seemingly endless…and downright overwhelming. There are so many nuggets of wisdom I could impart, such as the library lounges are truly not for getting work done, pints of Ben and Jerry’s ice cream are not dinner, late night drunk eating is not friendly to your waistline, or leaving homework or (better yet) a term paper till Sunday may seem like a good idea…but it’s not. My thoughts were swirling, until finally, eureka! One thought stood out above the rest. Do not be afraid to try something new, join a new group, try out a new club, start a new job, or even try a new sport. So often when we enter college we get stuck in our “identity”, one typically leftover from high school. College can be a vehicle for you to discover your true self and personal identity; it is a time for many of us to be on our own for the first time. It is a time to make decisions and form opinions. Through the exploration of the world around you can in turn begin to find yourself and true happiness. For as long as I can remember my personal identity had been athlete. 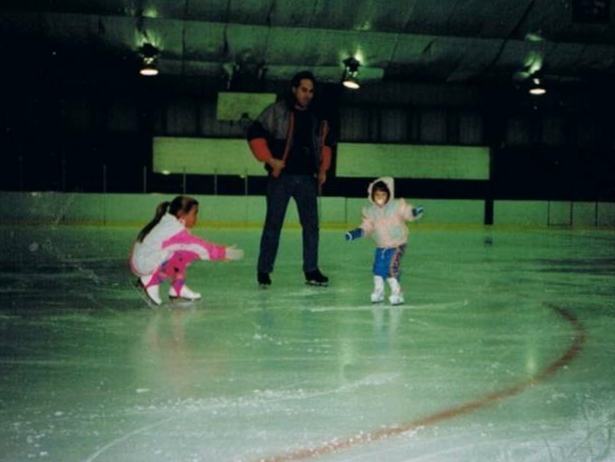 Before college I was the ‘figure skating lacrosse player,’ having begun skating at age 5. 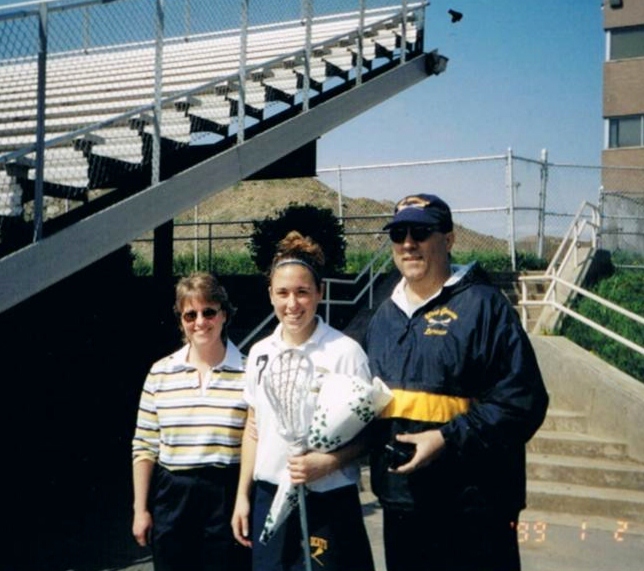 When I entered college I immediately identified as a student athlete or lacrosse player. With a built in team social network, it wasn’t until two years in that I began to truly explore the world around me. What happens when suddenly what you identify with is no longer your identity? As you come into a new setting such as college, you’ll find so many clubs, organizations and groups. Do not be afraid to try them out, go to a meeting, and see what they are about. You may surprise yourself! I had a preconceived notion that most people who were participating in these clubs did not like to do so, were ‘forced’ to be there, or that they would be unwelcoming. This was not the case whatsoever! I realized quickly that, in college, people typically joined clubs because of a genuine interest in what the club is about and that interest is contagious! After college I worked as a recruiter for a staffing firm. In talking with one of the other recruiters, one thing struck me. We sit and read resumes all day long; the top candidates for a position typically have the same baseline qualifications. So, how do they set themselves apart? For me it was their hobbies and their extracurricular activities. Those could be clubs, sports, music, art, business competitions or cooking class! It was a breath of fresh air to see something like “beginning saxophone player” or “Interests includes: Cake decorating.” It was a great talking point making them more memorable and gave insight into their personality. Your personal identity does not have to match your college major. If you love coming up with ideas, are competitive and a business major, perhaps the business competitions are right for you, but that is not the only option. You can be a business major who loves fencing or crochet! Can’t find a crochet club on campus, start one. You may be surprised at how many others love (or want to learn) to crochet winter hats and scarves, especially if living in the bitter northern regions for school! Brrr! This identity scenario is not limited to college, sorry to burst the bubble but it happens as adults too. So often our jobs become our identity. We immediately introduce ourselves, “Hi, I’m Kendall and I’m a business owner.” Try this social experiment, challenge yourself when meeting someone new to begin a conversation without stating your occupation (or identity) or asking what theirs is within the first 5 lines of conversation. In a culture where identity and perceived success is tied to occupation, it is not an easy feat but it can be done with practice. It also causes you to learn a lot more about those you interact with. The bottom line being, I would tell my college self to do what I did and explore the world around me, to start building a foundation of my personal identity and true happiness! Skating with Kiersten, age 7 and 2. Lacrosse senior night, high school.